Singapore is warm most part of the year. But as the year nears the middle—around June and July, and the tropical rainforest climate set in, it can prove to be quite impossible to do away with an air conditioner. But, as with all the mod cons you know, the only way the AC can provide that sweet, cool relief is when it’s in a very good working condition. You have to understand that an air conditioner works by transferring the heat inside your room to the outside environment, filling the room with cooler air from outside. The mechanics involved could prove to be even more complex if you can get to learn how the contraption actually works. It’s for such reasons that it’s recommended that you settle for only a good air conditioner. One that will be serving you for quite some time before you see the need to get it serviced or replaced. You don’t need to be a rocket scientist to know if your air con is turning into a dud. All you need to watch for are the signs that calls for its repair. Then make sure the air con is repaired right on time, before it gets worse or stops working altogether. This one should go without mentioning. When your room suddenly starts getting heated up, odds are the air con system has stopped working. Try setting the system at full blast and see if the room is as cold as it used to be when you first installed the air con. Any downhill variation to the level of coolness the air con used to generate while still new indicates the need for repair. For all we know, something could be wrong with the system’s compressor or the Freon’s level could just be too low. 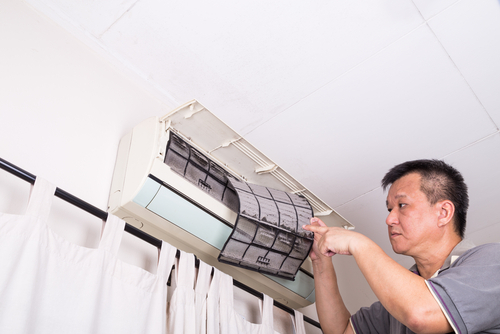 A good air con servicing company should be able to point out the exact problem before fixing it for you. 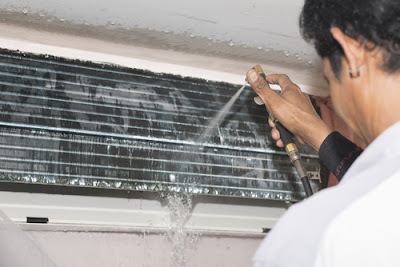 One thing we all look for in the air conditioner we buy is its ability to run smoothly in the background without creating any distraction or noise. That’s to be expected of a new air con. But as time goes and the air con starts wearing out, you may start to hear some noises. This is a clear indication that some parts are loose or need to be replaced. The noise could be emanating from the outdoor unit or the indoor unit. Whichever the case this is a clear indication that the air con is in thorough need of servicing. The problem doesn’t have to be the air conditioner itself. It could be the thermostat for all we know. The easiest way to tell if the problem is the thermostat or the air con is to find out if the temperature in your house is evenly distributed in all rooms. If one room is cold and the other one hot, odds are the thermostat stopped working and should therefore be repaired or replaced. Unless you’re convinced the foul or pungent smell in the room is from something else, there’s a fair chance it could be as a result of one of your air con’s insulating wires burning out. The best way to find out is to try and check out the direction from which the smell is coming from. If your nose is directing you towards the cooler, waste no time and call an air con servicing company. 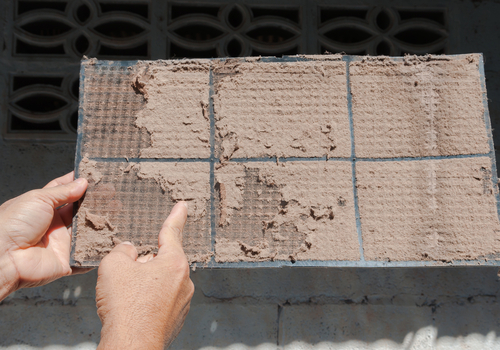 There shouldn’t be any moisture leaking from your air con system if it’s in a good working condition. Reason being, moisture leakages could be a dead giveaway that your system is refrigerating. Some people don’t find this problem serious enough to sweat for. But one thing you have to understand is that refrigerant leakages pose as a serious health risk. You might want to call a service company right away to save your family from the health complications associated with it. Also, if the water pools happen to be next to the AC, odds are the drain tubes aren’t disposing properly. They could either be blocked or broken. It’s important that you have it fixed fast enough before it leads to a series of other serious problems including mold growth. It’s to be expected that your AC will someday fail to work, if NOT fail to work efficiently. But there comes a time when the failure is as a result of pure negligence or failure to take necessary precautions when there was time for it. It’s simple logic—the more you make your AC run, the shorter the lifespan and the more you’ll be calling for its servicing. The best way to extend the life of your AC is to make good use of shades and blinds during the day. The air coming from outside through the window could be enough such that you won’t even see the need to put on your air con on some days. You could also install an awning to shield your house from the intense sunlight coming from the south through the window. Alternatively, you could also get a floor or a ceiling fan to run alongside your AC when the heat is NOT intense enough to necessitate its running. You could use the services of the dealer who helped you install the AC or get a professional company dealing with AC repairs and schedule yearly checkups and cleanups. It’s good that you have the checkups slated before mid year when the climate will be at its hottest point and the AC will as such be running full time.